Here is a section of the finished pattern from the post below. A selection of real and imagined vehicles. 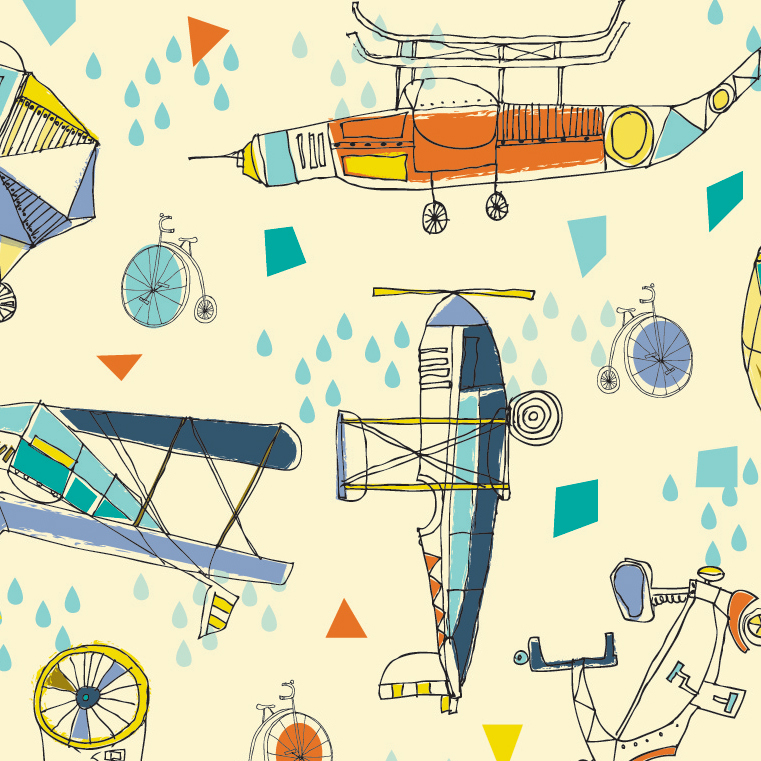 I drew inspiration from the film Those Magnificent Men in their flying Machines and from Ronald Searle's artwork that went with it. I'm still quite keen on the unfinished version mind you. I think I know what these designs are for?... they are super!